Brexit could jeopardise patient care and worsen long-standing workforce problems, the RCN is warning political leaders. In a letter to leaders of the main political parties, the college said the UK's exit from the European Union poses an ‘immediate risk’ to safe care. The RCN is calling on all political parties to back a referendum on the final Brexit deal. The college's letter outlines the problems it says are posed by the UK’s withdrawal from the European Union, including threatening workforce sustainability. The letter highlights the RCN's concerns about the ‘dilution of fair employment practices and workers’ rights’ and ‘cross-border exchange of knowledge, research and skills’. 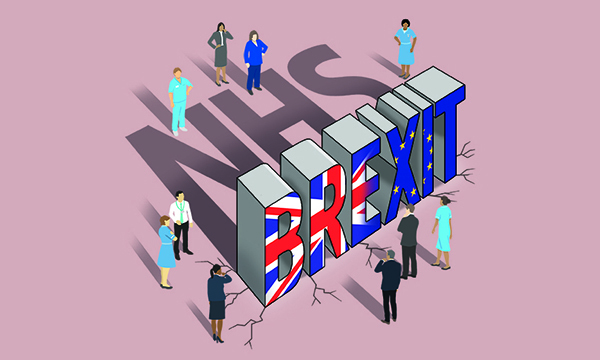 RCN council chair Maria Trewern wrote: ‘As the debate across our membership has made clear, the implications of Brexit for the health and care system will be numerous. ‘There are risks that, if not credibly addressed, may damage population health, as well as severely impact on our members’ ability to provide safe and effective care for their patients in both the short and the long term.